Wurst is a German specialty and a big part of German cuisine. Worldwide, Germany offers the largest selection of wurst. From Blutwurst to Weisswurst, from Frankfurters to Salami - there are over 1,500 different kinds of wurst. Although not all are available here in the U.S., your local German delicatessen has a large variety of delicious German sausages and cold cuts to choose from. The German word Wurst actually refers to both cold cuts (Aufschnitt) and sausages. Cold cuts are slices of very large sausages, cooked meats, hams, and cheese. They are most often eaten cold with bread. 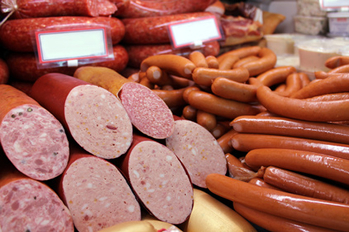 Cold cuts of German sausages are mainly available at German delicatessens and German food stores. Some German restaurants offer an Aufschnitt Platte - a tray of cold cuts, usually accompanied with bread, butter, and pickles, onions, or other vegetables. Sausages are casings (natural or synthetic) stuffed with finely chopped pork or other meat. In German cuisine, there are four different categories of sausages: Fresh/Raw, Cooked, Boiled, and the well-known Bratwurst. Sausages are often eaten on their own, accompanied with such German favorites as Sauerkraut, potato salad, bread rolls (Brötchen), mustard, and/or horseradish. 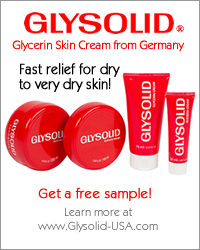 Some varieties, such as Bratwurst and Weisswurst, are excellent grilled. Others are better boiled. Sausages are also used as an ingredient in other German foods, such as soups, stews, and casseroles. Looking for cooking & serving tips on a particular wurst? Or looking for the perfect sausage for your cooking needs? Search our Wurst Dictionary. There are four categories of Wurst. Knowing these will help you know how to cook and prepare the wurst. We describe each of the four categories. Not all wurst is good for grilling. So before you decide to barbeque, read our tips on which sausages are best and how to get them just right.